- 12-oz cotton canvas bag with both arm and shoulder straps. 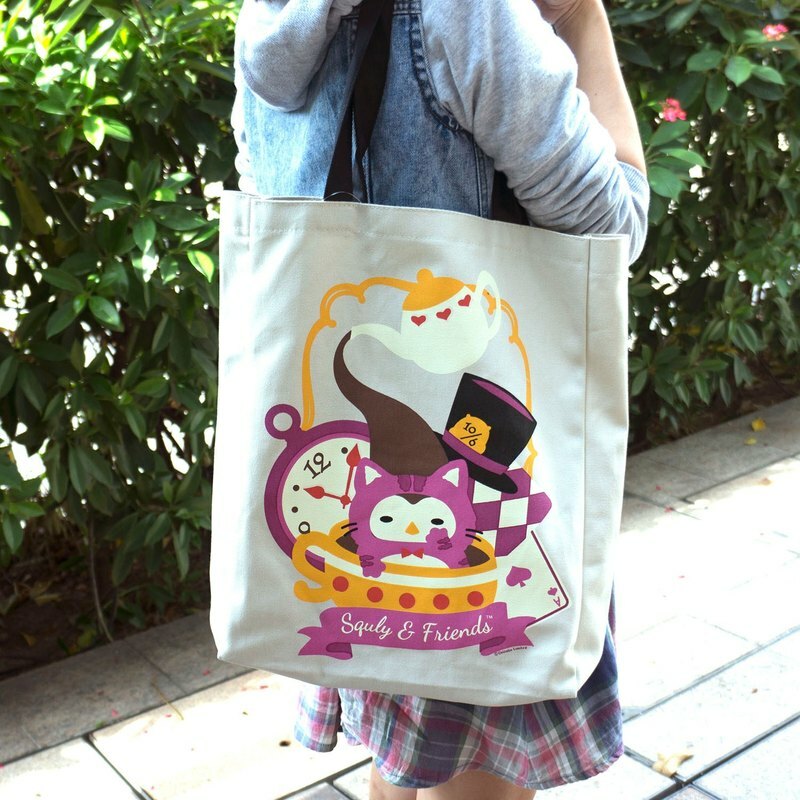 - Original canvas coloured bag with cute Owl - Owlly (Alice in Wonderland theme) print - simple and stylish. - Size around 11.5inch (W) x 15.5inch (H) x 2.5inch (D) - Handle strap around 20inch long. Net weight: 180g Shipping weight: 200g Remarks: Free Shipping: Will ship out with Air-Mail or Surface Mail, No Tracking Number, Buyer Bear the Risk of Lost. Optional: We can ship with Express, freight to be collected at destination, please mark it when place order.